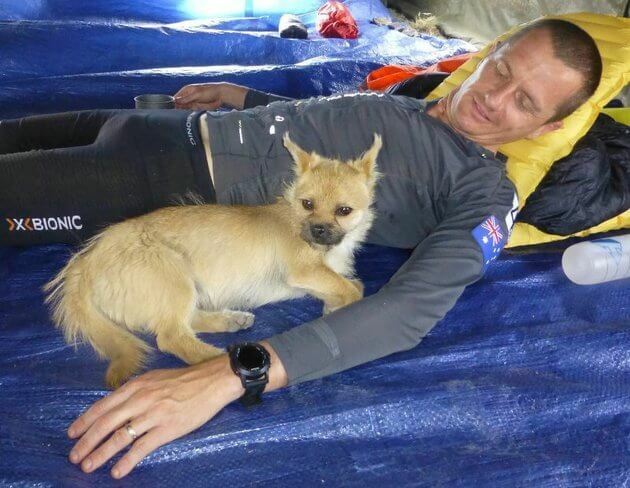 Stray Dog who ran Gobi Desert Marathon gets a loving home! Running through the vast wilderness of a desert in scorching heat is no mean feat for a human, forget dogs. Try telling the same to this little stray dog in China’s Tian Shan mountain range who ran alongside marathoner Dion Leonard in the 2016 Gobi March 4 Deserts race. 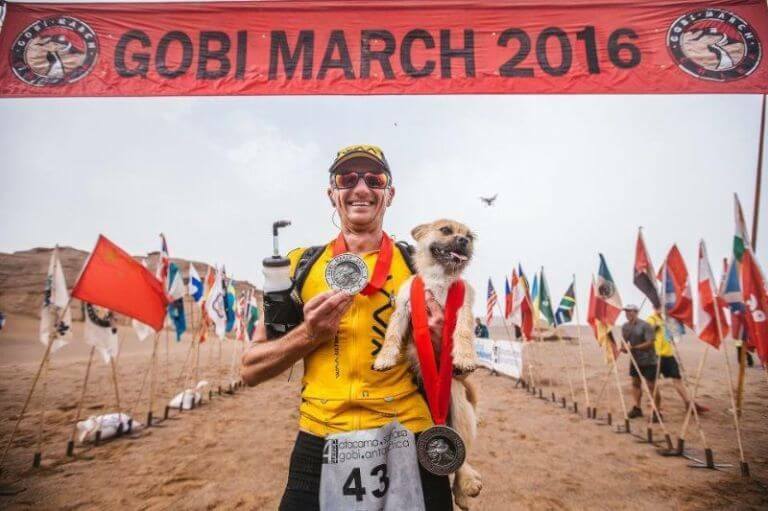 When the Scottish marathoner Dion Leonard met Gobi (the pup has been since named after the desert) he was on the second day of the seven-day, 155-mile grueling race through the Gobi desert in China. 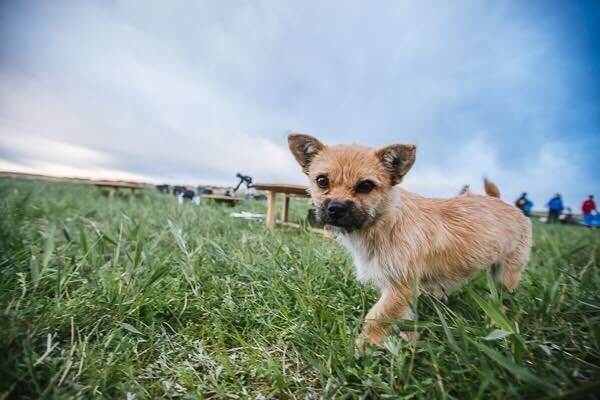 No one quite knows where from this pooch ended up in such a desolate place miles from the last village but as soon as the stray pup saw him, a friendship was struck. Gobi ran the entire 20-odd miles, never stopping and never turning back. 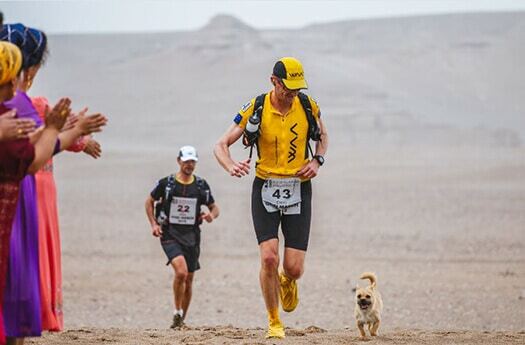 Gobi ran with Leonard all through the desert and mountains under extreme conditions, all the way to the finish line. Leonard carried her little friend over rivers and sluice gates that she couldn’t tread on her own, and they shared food, water, and bed. After each tough day of running, Gobi would snuggle up next to Leonard. Leonard may have to settle for a silver in the Gobi March 2016 but he has won a best friend who weighs more than any gold medal. The campaign was a resounding success and raised almost three times its target goal of €5,000! Getting Gobi to the UK is a four-month process due to medical checks and entry clearance bureaucracy, so at the moment she is living with one of the race organizers in the village of Urumqi. Meanwhile Leonard is waiting to welcome home Gobi by Christmas. Posted on August 7, 2016 Author Abhishek JoshiCategories Hail the hound!